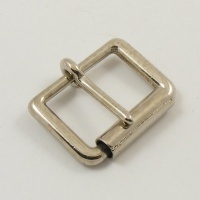 These buckles are cast from solid brass which is then nickel plated for a silver appearance. 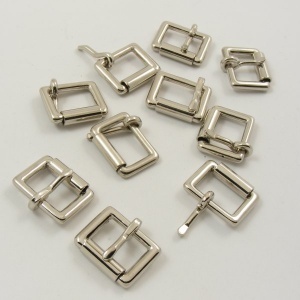 They are very strong and reliable for use on dog collars, horse tack, etc and give a high quality finish to handbags and accessories. They are excellent quality and far stronger than 'wire formed' buckles. 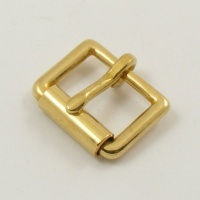 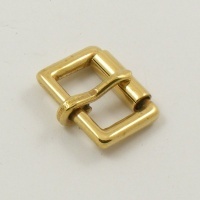 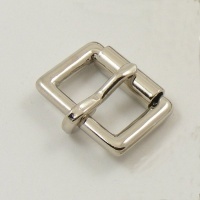 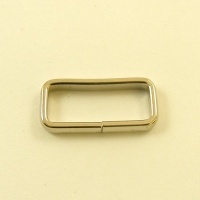 This is a 3/4" (19mm) nickel plated roller buckle. 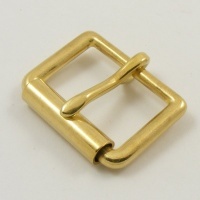 We also sell them in their original brass finish and in several other sizes - see below in related products.